Located on the sunset side of the Andaman Sea and the pristine Natai Beach, the 5 Star Aleenta Resort & Spa in Phang Nga is just 25 minutes north of the Phuket International Airport, short distance away from the Blue Canyon Golf Course and the picturesque Phang Nga Bay. Aleenta Resort & Spa offers a beautiful and private setting and is a perfect location for a romantic beach wedding and honeymoon. Aleenta’s wedding planner is available to help create your dream celebration. Aleenta Resort & Spa was recently awarded as Thailand’s Best Small Green Resort. 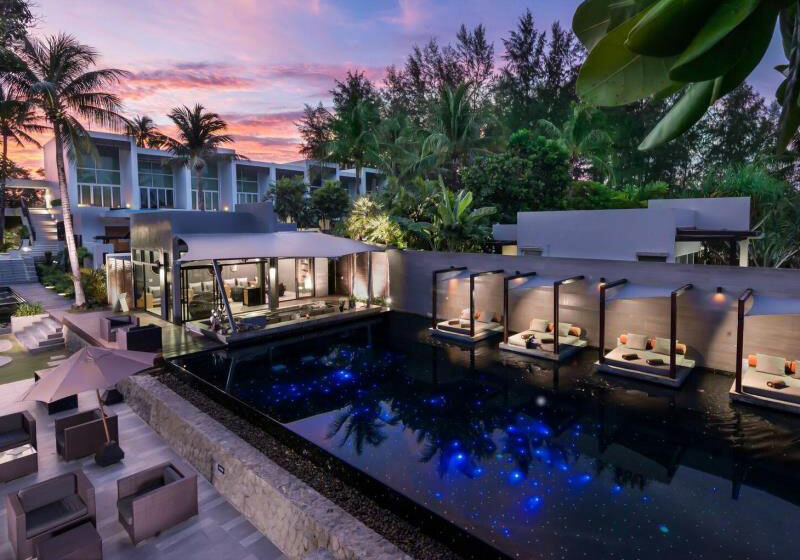 Short Description: Located on the sunset side of the Andaman Sea and the pristine Natai Beach, the 5 Star Aleenta Resort & Spa in Phang Nga is just 25 minutes north of the Phuket International Airport, short distance away from the Blue Canyon Golf Course and the picturesque Phang Nga Bay.